On Saturday September 9th, the Rotary Club of Orange raised funds for ShelterBox at the Orange Street Festival. 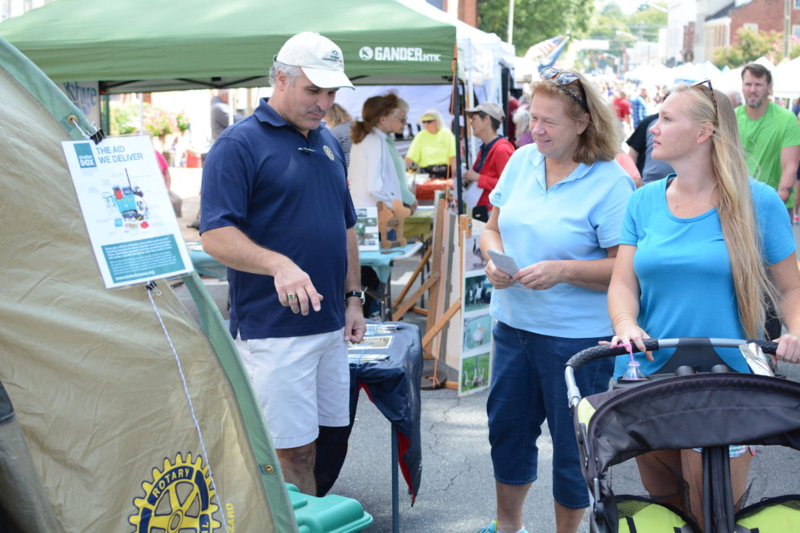 By donating to the Rotary Club’s ShelterBox collection at the Street Festival, attendees helped support the organization in their efforts to provide emergency shelter and tools for families whose homes are destroyed by natural disasters. ShelterBox teams distribute large sturdy plastic boxes containing a shelter kit, water purification kit, blankets, tools, and other necessities to help a family survive after a disaster. The shelters are designed to house up to 10 people for up to 6 months, but have been known to be used for much longer periods of time. Thank you for your support of the Rotary as we try to raise funds to help disaster victims by providing them with the safety, security, and dignity provided by a home.